OK Wynn-ing: Former Miss Auburn Everything Wynn Everett is a cast member on HBO’s “The Newsroom.” The show’s third and final season starts Sunday night. Here she is at the Season 2 premiere. 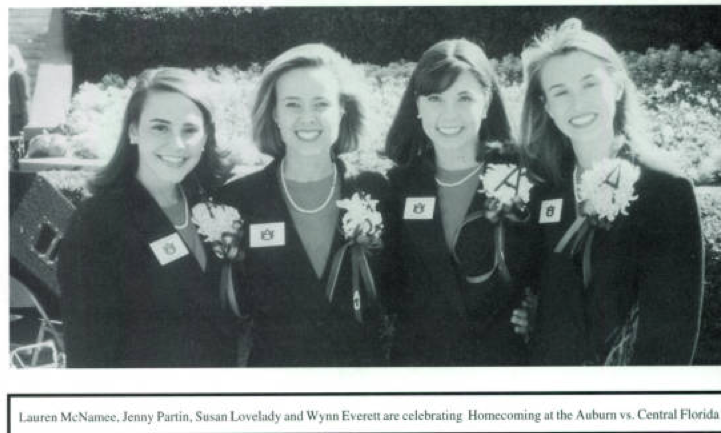 If you were at Auburn in the late 90s, Wynn Everett might look familiar. She may also look familiar if you’ve seen Charlie Wilson’s War. Or CSI. Or NCIS: Los Angeles. Or Vegas. Or Grey’s Anatomy. Everett is one of those of those B-list beauties (in name, not looks) who populate prime time series one “guest starring” episode at a time. At least she was until landing a role—a recurring role, a character—on HBO’s The Newsroom in 2012. And she’s pulled it off well enough to make it into the show’s second season. 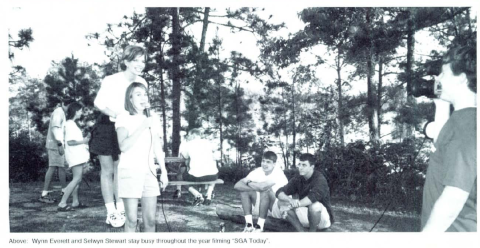 Her Auburn career was as prolific as her IMDB page, a Who’s Who extra-curricular tour de force: Cardinal Key, Camp War Eagle, War Eagle Girls, Alpha Gama Delta, Pahellenic, AU tour guide, assistant director of the SGA bone marrow drive, and a Methodist youth counselor. 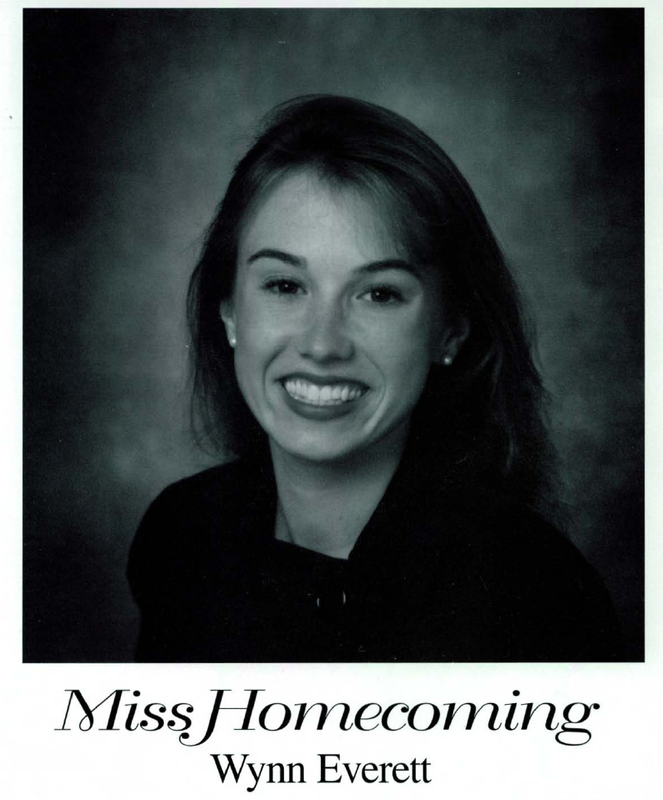 And the biggie: Miss Homecoming, 1998. Yes, accordion—that’s how she campaigned. She walked around with an accordion playing the Auburn fight song. She rules (does anyone have a picture of that? Please sent it to us). “I wanted to be different, so that is where the accordion came into play,” Everett was quoted as saying in that year’s Glomerata. “As a Camp War Eagle counselor, I had learned to play the War Eagle fight song. Since I rarely get embarrassed, I decided to bring it along with me so people would remember me, and to show my love for Auburn. Everett only minored in theater at Auburn, but her acting abilities are the stuff of legend at the Opelika Road Red Lobster. Plainsman: What’s the silliest thing you’ve ever done? The third and final season of The Newsroom premieres Sunday night at 9 p.m. CST on HBO. Wynn Everett at the Season 3 premiere of “The Newsroom”. 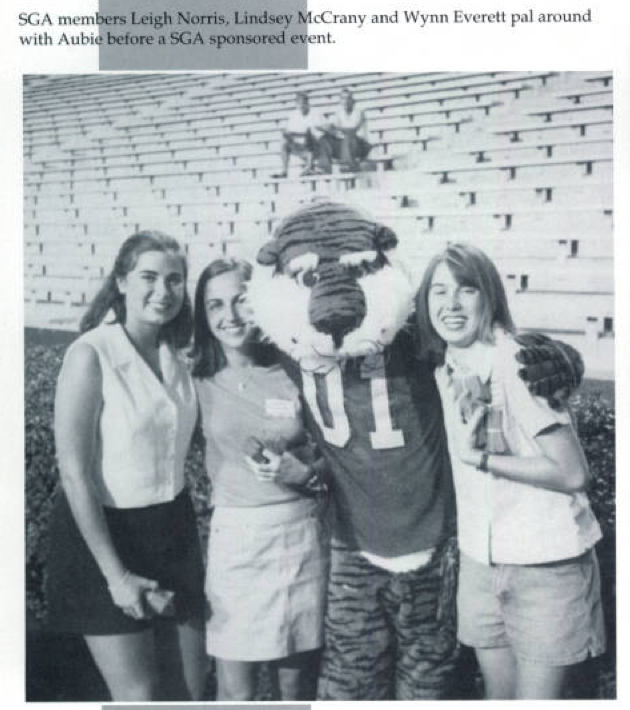 Related: Remembering Love Scales, Auburn’s first black Miss Homecoming candidate. Come on… you’re better than this! Miss Homecoming, not Homecoming Queen.